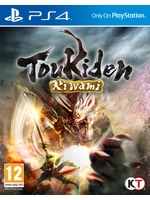 Koei Tecmo has announced a demo version of Toukiden: Kiwami on PS4 and PS Vita for the 25th of March. It will offer two distinct game modes, the first two chapters of the Kiwami campaign and some special missions from The Age of Demons. Here are a comparison video PS Vita/PS4 and three images galleries.